Jeska sets foot on on Yavimaya, and a strange plant creature grows up from the ground and introduces himself as Multani. His tone is soothing and he doesn't seem threatening and she's heard of him through Karn, so she allows him a few moments to speak. He wants to know who she is, why she's here, and who the elf is that she brought with her. Jeska answers and says she's sealed the rift in Zhalfir and means to do the same here. 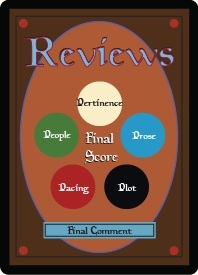 He tells her he doesn't know much about the other rifts but he's spent a lot of time with this one. He let's her know that the physical body she thinks of as Multani is only a portion of himself. Much of him is still stuck in the rift and he would like to share his knowledge with her so the forest is not destroyed by her actions. 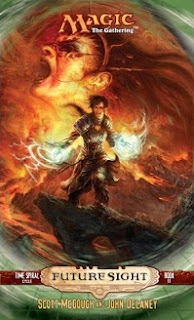 Jeska would like to listen, except that she knows he's also a friend of Teferi and Jhoira and they seek to stop her. She doesn't need his knowledge. She's already succeeded once and she'll do so again, so he should just stand aside and let her work. 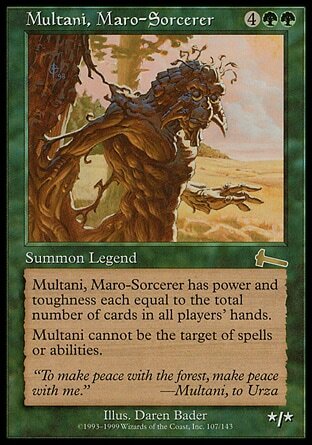 Multani insists that she doesn't know enough. Really. She should just listen to the music. Isn't it soothing? She should think of home. Think of her own forest Krosa. It's warm and comforting. It's safe. Radha awakens underneath the largest trees she has ever seen, with man made of mulch talking to her. She calls out to him because that is pretty much all she can do. Her muscles are dead tired in a way they've never been before. He seems nice enough and greets her and offers her a hand, but he doesn't grab hold of hers. He forces her to be the one to close the gap between them. Radha gathers all her strength and grabs his hand and the moment they touch she's fully restored. Stronger than she's felt in a long time. She sees Jeska laying on the ground and he tells her he's put the planeswalker under a sleeping spell and he isn't quite sure how to proceed from here. When Radha draws her sword he warns her that cutting off her head will likely just break the spell and then she'll kill him and reclaim her. They should wait for their allies. Well... what he said makes sense, and he did just help her so Radha decides to do what he suggests for the moment. Can he take her home? He tells her that he can't. 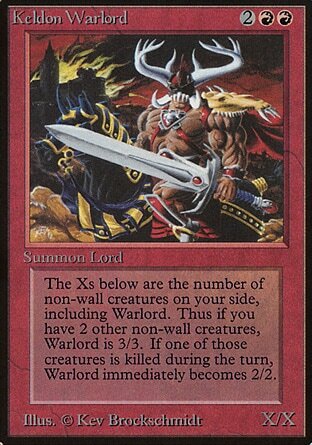 However he wants to know what it's like to be a Keldon warlord . He's never met one before. Drawing power from her army is similar in many ways to his own collective power of the forest. And he tells her he can sense the hole in her where her connection to Skyshroud and the rift once was. It calls out to him. He can fill it once more if she wants. Radha says she will be no one's slave... but the power calls to her and she agrees. He touches her cheek and she feels something strange but familiar. "You know this path," Multani intoned. "All you need do is take the first step." The mana flows through her. Pure and greater than ever before. She scoffs at the idea of ever needing Freyalise. When Multani tells her that she should respect a fallen hero, he's able to tell it to her in a way that neither annoys her nor sounds challenging, so she decides to accept the words as they are meant on face value. She's also not to happy about meeting up with Teferi, Jhoira, and Venser, but gives in to his plea. They arrive and Multani updates them about the situation. They decide that he go into her mind and try to quell her anger and change her course of action. They'll all stand ready should things go wrong, even Radha. 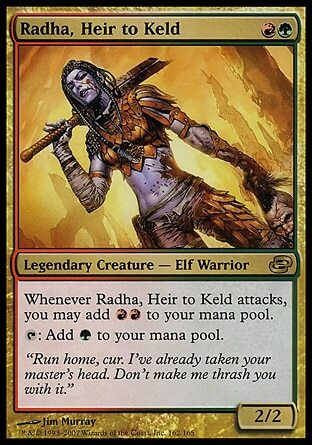 While I like Radha only as a means to contrast with the personalities of the other characters at this point, I do like her relationship with Multani. Someone has finally been able to reign her in and it wasn't through power or reason. He just did it. He offered help but didn't coddle her. He offered power but not as a bribe or a price, just for power's sake. He just is. He just exists and accepts that most things are as they should be, and that seems to have both kept her Keldon nature in check and called out to her elven nature. But at this point we're only halfway through the book. This trip into Jeska's mind can't end well. And let's not forget that Leshrac was watching the whole scene unfold back on Zhalfir, and no doubt he's also here in Skyshroud if he's strong enough to keep hidden from a weakened Multani. And... we have three rifts left. The Yavimaya rift, Otaria rift, and Madara rift. 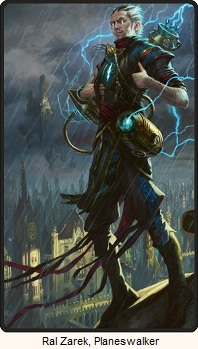 Conveniently we have three planeswalkers. Jeska is tied to Otaria, Nicol Bolas is tied to Madara, and Leshrac is left over for here. The filtering through Venser and Radha may be a red herring. But where does Night's Mask come in? I say Jeska as Phage gets hold of the mask and somehow is able over power Leshrac and feed him to the Yavimaya rift. Then she gets called to Madara by Night, who is being chased by Nicol Bolas and somehow she feeds Nicol Bolas' spark to that rift (Maybe with Night's additional help). Then she's restored back to her old self as a result of the battle or effort made by Teferi, Venser, and Jhoira, and then volunteers herself as Jeska to take on the final rift in Otaria.